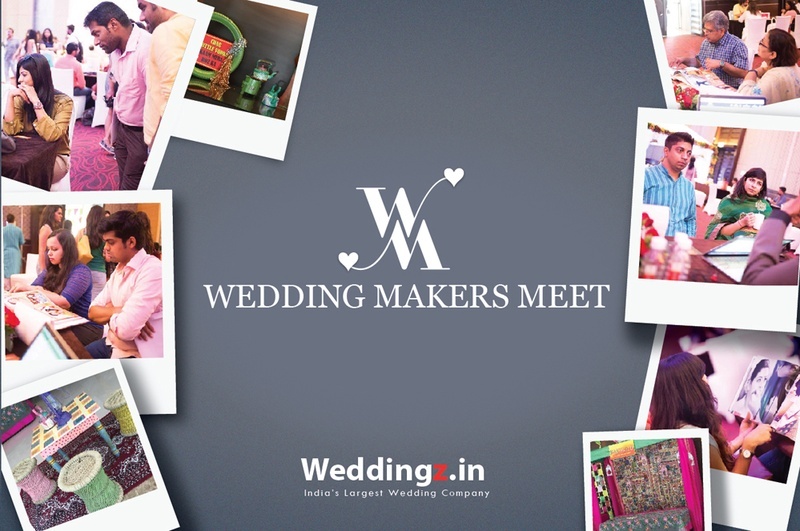 Wedding Makers Meet by Weddingz.in – Here’s what You Missed! Last month we announced our Wedding Makers Meet where we gave couples and their families the golden opportunity to meet Mumbai’s top vendors in jewellery and wedding gifting, while book their wedding photographer, decorator and mehndi artist. A big shout out to our venue partners Holiday Inn, who helped us pull this event through with great panache. The scrumptious menu from the Holiday Inn kitchen was the cherry on the top. Held on 30th April, 2016 – Several to-be brides and grooms attended the event, met the vendors and found what they were looking for. Based in Andheri, Velvet Case was founded by Kapil Hetamsaria. The company specializes in creating made to order jewellery in budget and is a one-stop jewellery destination for Polki, Gold and Daimond. Their bridal packages start from – 300,000 to 500,000. Their USP is that you can try their products at home. A hobby that turned into a passion for creating jewellery 3 years ago today has become a successfully running business. B-Bling has been in retail marketing for over 10 years, therefore know what sells. Everybody wants something unique. We offer bold and wearable jewellery, which is described as ‘eclectic’. Founded by Gopal Shah in 2002, Varda specializes in creating designer wedding invitations. Themes, such as palace, peacock, name and logos are few of their specialization areas. After a one-to-one conversation with clients, they understand their requirements closely and provide design samples within a week. There have been times when event planners have approached them to design their entire theme as per the design suggestions given by Varda and sometimes, it’s the other way round. Been in business for more than 7 years, Sheetal Sheth has seen the mehndi application business evolve drastically. From being just a ritual formality, application of mehndi is considered to be a trend today. With current demands of brides wanting their design to be unique and unusual, it is certainly a more challenging and exciting time. According to her, the current trend in mehndi is Indian and Arabic. Sheetal also takes up destination weddings and is a specialist in bridal mehndi, advance arabic, indo arabic and dubai style mehndi. In business for more than 15 years, Marigold is run by Parul and Neelam. Initially named Ambrosia, today Marigold has evolved to become one of the most unique wedding décor company. Most of their décor work is hand-painted or handcrafted. Creativity being part of her personality since she was little, Parul doesn’t like to repeat herself and prefers to offer something new to all her clients. She has professionally learnt Ikebana – Japanese form of flower arrangements, making her one of the most sought-after décor vendor by florists and 5 Star hotels. Price range starts from Rs. 100,000 – Rs. 20,000,00 for outdoors and Rs. 100,000 - Rs. 500,000 for indoors. Camera Crew has been in the business for over 20 years. Backed by a staff comprising of 65-80 member, Camera Crew takes up 500 weddings per year PAN India. Cinematic, candid and Traditional photography is their forte. Since he was in 9th grade in 1999, Soumalya’s favourite pass time has been photography. A journey that started with using a Kodak KB-10, he is self-taught. In 2007 he left his full-time job in an advertising agency to follow his passion. Being good at ‘Googling’ (browsing), he says, he is always on the lookout for things that are out of the box. Vineet, a merchant navy officer is naïve with the wedding planning process. “Sasta, sundar and tikau is my philosophy when it comes to planning a wedding,” says Vineet. Totally reliant on wedding planners - in this case it’s us (weddingz.in). They got in touch with Prerna who guided them correctly on whether they should book Udaipur or Jaipur for their daughter’s wedding. Fateh Garh palace in Udaipur is what had em sold. Vijay has both his hands deeply engrossed in organising his brother’s wedding, which is a destination palace wedding at Aayush Resort in Panvel.